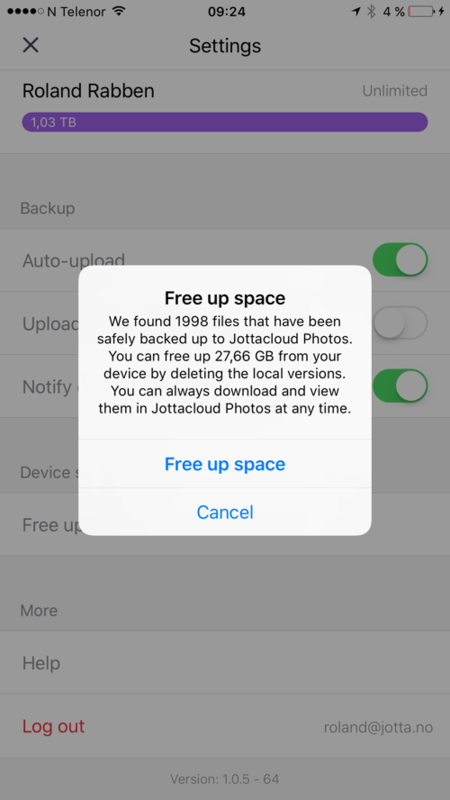 Free Up Space lets you delete the local version of a photo or video, but keep it on your Jottacloud account in the cloud. To free up space for all your local photos and videos that have been backed up, simply open the main menu and select "Free Up Space". The app will calculate the number of files and megabytes that can be deleted. To free up space, simply select FREE UP SPACE in the confirmation dialog. When prompted by iOS if you want to delete the photos from the phone, press Delete. 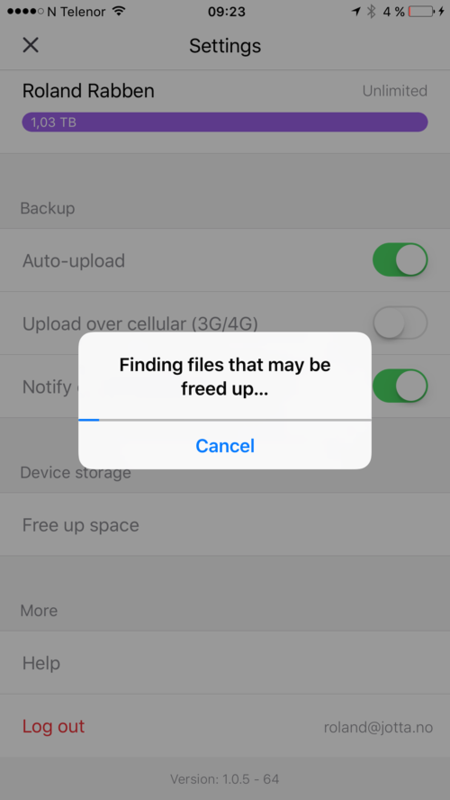 Using the Free Up Space feature will delete photos from your local device. 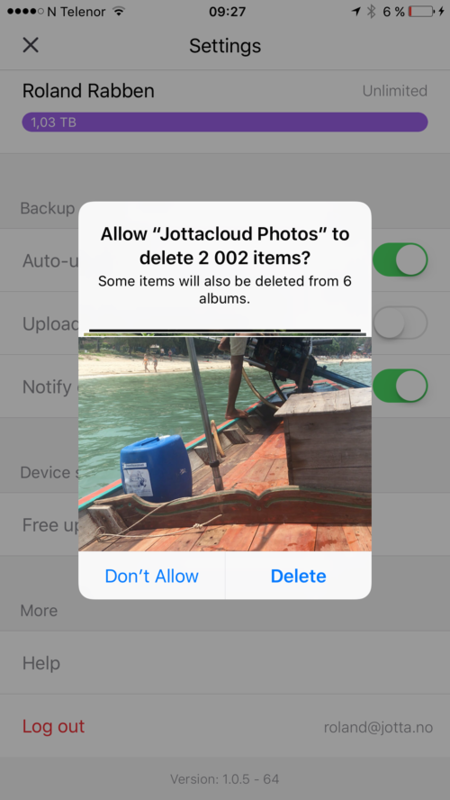 If you have enabled iCloud Photo Library on your iOS device, the photos and videos you delete from the device will also be deleted from your iCloud account. In Jottacloud for iOS 4.2.1 and above we free up Live Photos, but the The Free Up Space feature does not work on photos that was taken with the iOS feature Photo Burst. Ta actually free up the space on the device you also need to remove the photos and videos from recently deleted files. Open the iOS "Photos" app and go to the Albums tab.